Since October the 8th is our 5th wedding anniversary, and our very last as just a family of two, I wanted to share our little story here before we are a family of three! Andrew and I met in Washington, DC 16 years ago while I was out visiting my best friend who was attending George Washington University. Pretty much since then we were hooked on each other. The only problem was that he lived in Wisconsin and I lived in Chicago. It's not what you may think. We didn't decide that one of us would just move to the other, and that was that. We were both just beginning to start our adult lives: Andrew with his political career that took him from Milwaukee's City Hall to jobs in the Capitol in Madison, and me with my desire to work with inner-city kids in the city of Chicago that I love so much. So we pursued our career dreams in separate states. I think this is really the one thing that has helped us stay together for 16 years: We support one another in doing what makes the other happy, and trusted each other enough to let the other grow and explore opportunities that we might never get again. We grew up so much apart, but we always grew together and had one another for support the whole way through. Was it hard? Sure, but we always knew it was worth it. Throughout all of our insane work hours and MANY jobs, often as many as 5 at a time (each of us), we made long distance work. 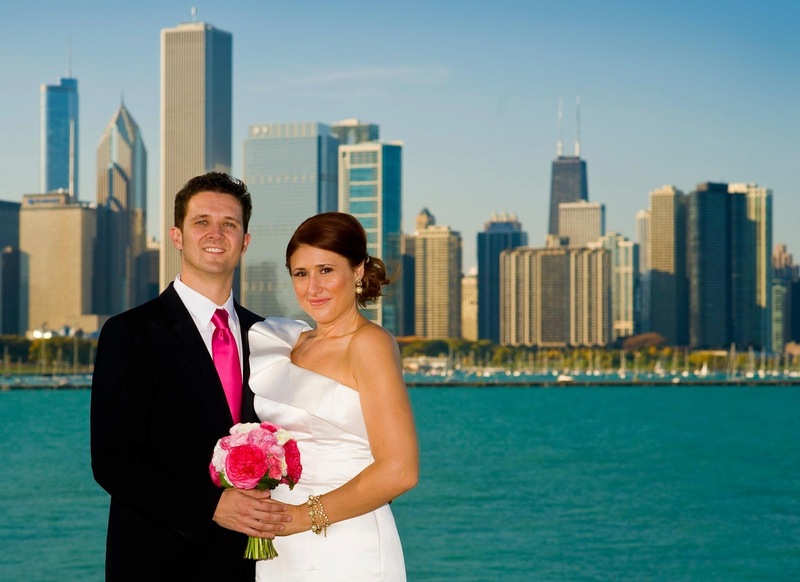 Luckily Wisconsin isn't that far from Chicago, and Andrew would come in almost every weekend either by driving or Amtrak to Union Station which was conveniently just a few blocks from my apartment in Chicago! 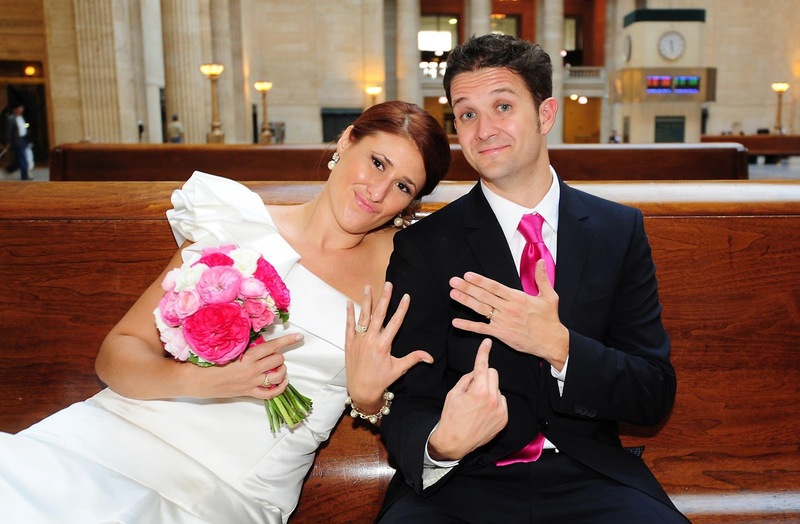 We made it work long distance through college, professional life, and hectic work schedules for 10 years before we decided to get get engaged. I'd never been the kind of girl who dreamed about a big fancy wedding so we did it our way with only about 30 people, dinner at our favorite restaurant in the city and incorporating some of our favorite, most meaningful spots around our hood too. 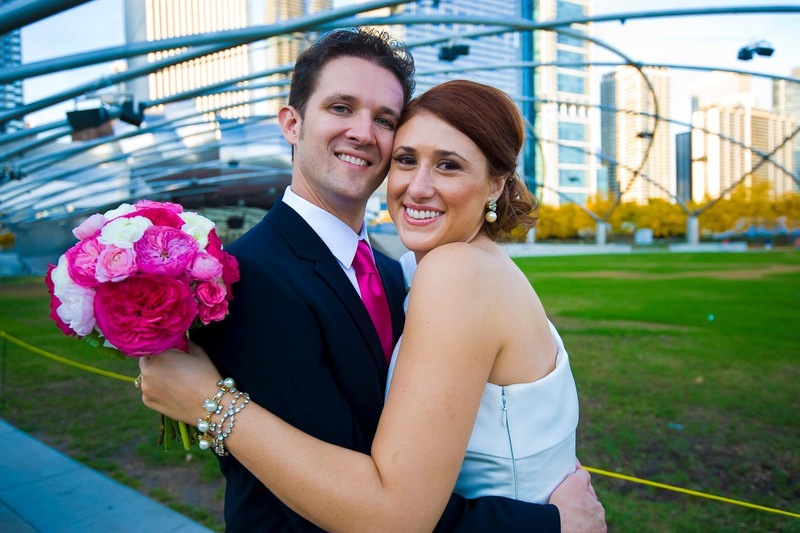 Finally after 11 and a half years living apart (and six months after our wedding), Andrew moved to Chicago. People thought it would be weird for us to finally live together since we had become such independent people but it wasn't weird at all. After that long we really knew who we were and who the other person was as well. The skill we had developed of trying things on our own helped us so much to adjust to life together. We both knew how to act as independent people when we needed to. We also started trying out hobbies together which is where our love of yoga started. We even had a Yoga Sculpt wedding class taught by our friend Emily at the South Loop Core Power the night before the wedding! We really hope that from our story, our daughter learns that life is meant to be explored. She can take a path that isn't the same as everyone else's and go against what everyone thinks she should do, and do what works for her. We hope that she learns to be kind and good to people along the way and keep an open mind for both people and opportunities. And to love and to trust with her whole heart if she finds someone she thinks is deserving, because if they are worth it, her life will be full, rich, and well-lived. 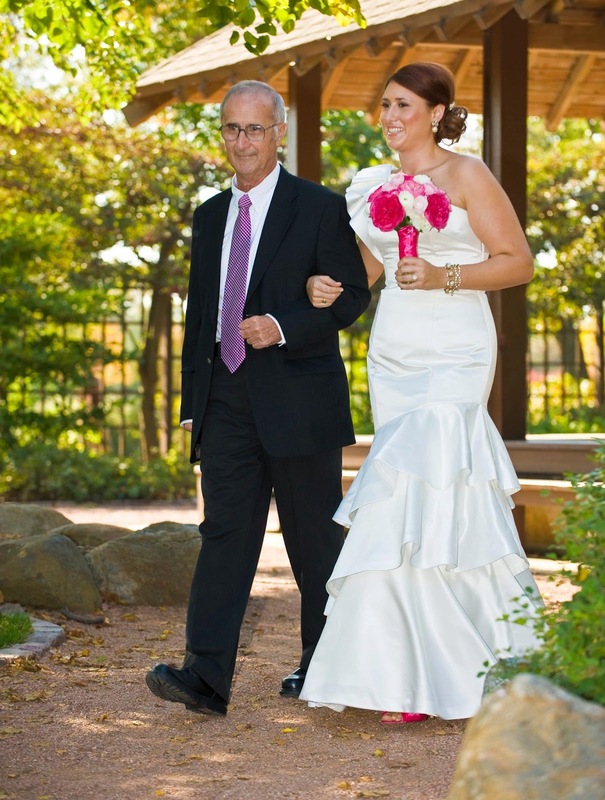 With my Dad walking the "aisle" in the Osaka Garden behind the Museum of Science and Industry in Chicago, the site of our ceremony. Exchanging vows in this beautiful park. 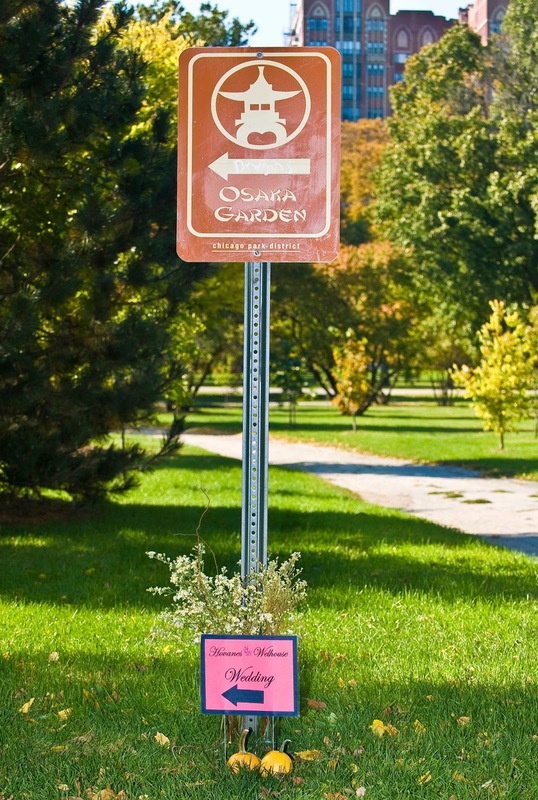 The little signs I made to direct people to the garden. Down the street from our old apartment. 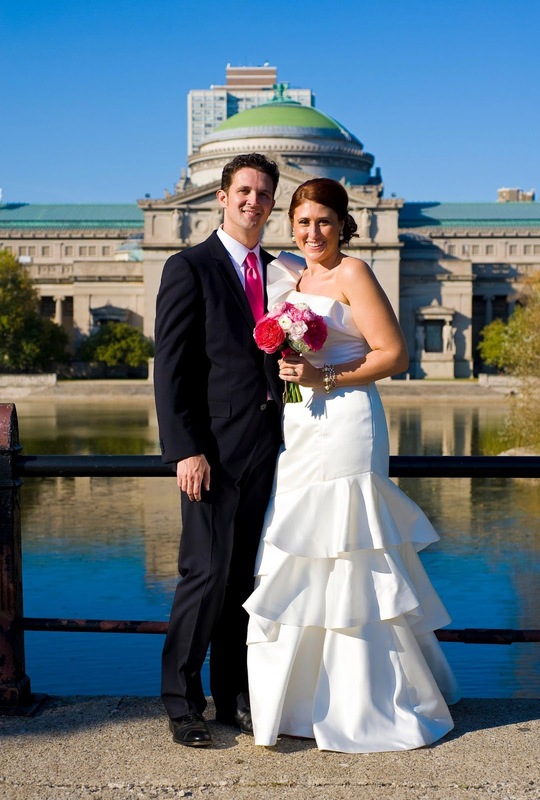 We knew one thing for sure, we wanted a fall outdoor wedding because we like the chillier temps. Unfortunately Chicago gave us an 81 degree day and tons of sun, but at least it looked like fall in the pictures. This bridge was part of the site of the World's Fair in 1893. 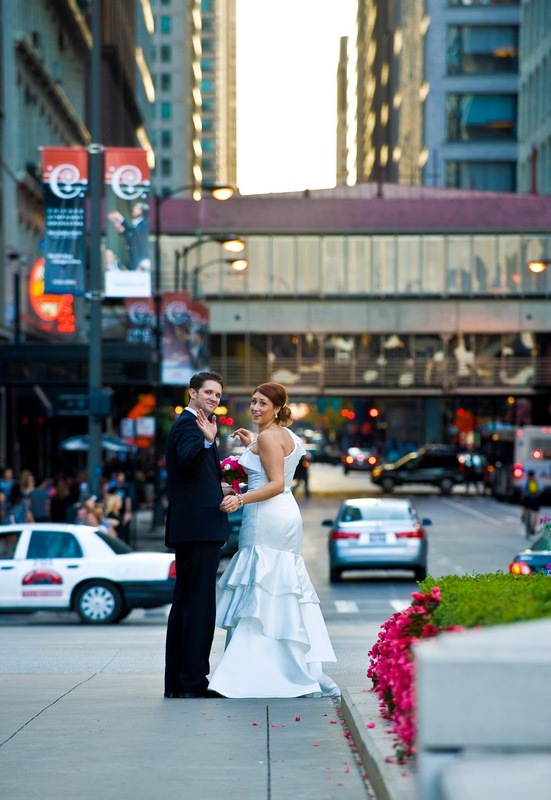 The perfect place for a Chicago-loving person like myself to get married. 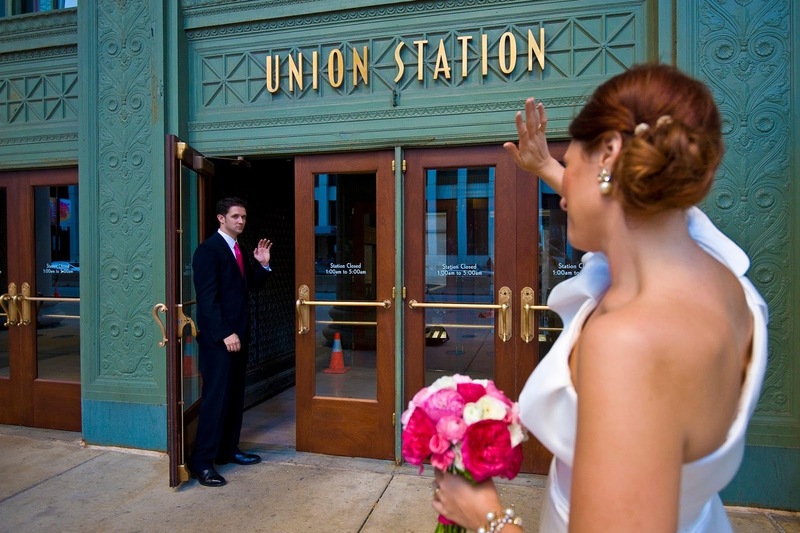 Union Station was about 4 blocks from our apartment and it played a huge role in us being able to get to one another. We thought it would be fitting to take pictures here, at a place we had said goodbye so many times. 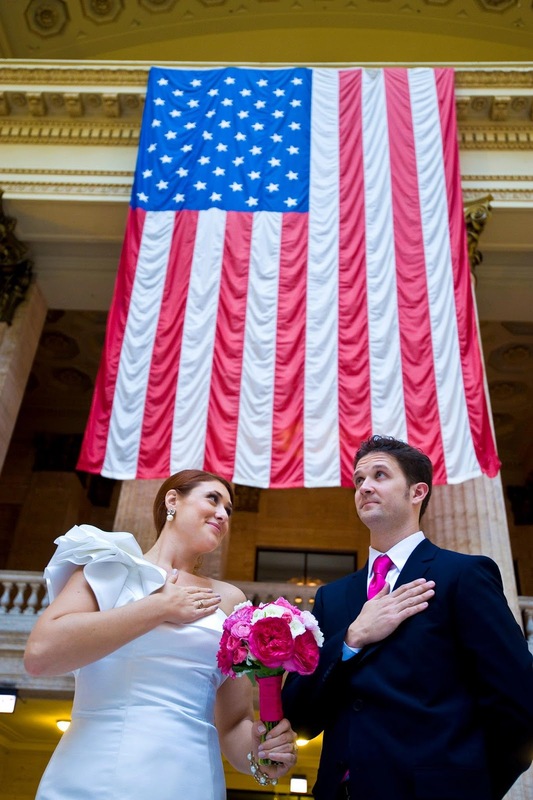 Because we are silly and it felt very political to take a picture in front of a flag in the train station for Andrew. We stopped at Millennium Park to take a few pictures because this is where we first started doing yoga together. Saturday mornings we would walk down the street and take classes here on the lawn. I had my heart set on taking a pic in the middle of Michigan Ave. I mean shopping is pretty much my favorite activity and I'd spent enough time on the Mag Mile in my 15 years of living downtown to consider it a pretty important place in my life. Andrew probably could have done without it since he does not share my passion for shopping. And this one is just who we are and will always be together. Two goof balls who really enjoy one another.